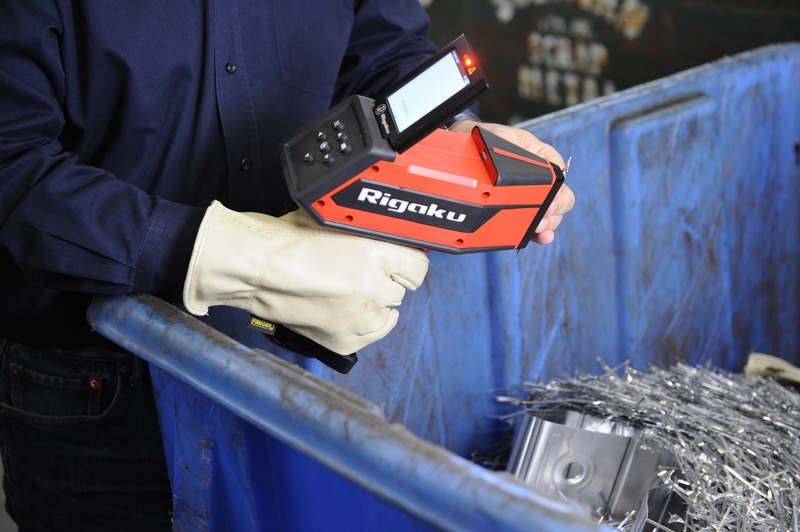 Rigaku Analytical Devices, a leading pioneer of handheld and portable spectroscopic analyzers, announces its previously released handheld laser induced breakdown spectroscopy (LIBS) metal analyzer has been improved and is faster than before. KT Series analyzers enable durable and accurate alloy identification for use in industrial environments and will be demonstrated at the FABTECH Expo November 6-8, 2017 at McCormick Place in Chicago, IL USA. The KT-100S is an upgrade to the previously released KT-100 LIBS analyzer, which was released in September 2015. The new KT-100S expands the use of handheld LIBS (HHLIBS) for use in more difficult applications, such as recycling, fabrication, aerospace, automotive and refineries, especially for the analysis and separation of most non-ferrous alloys. Designed to fill the performance and feature gaps of traditional analysis methods, such as handheld x-ray fluorescence (HHXRF), the KT-100S offers improved solutions for more convenient, on-the-spot identification of the most difficult alloys. By incorporating a second generation spectrometer that produces higher throughput and better resolution, the user can expect better detection limits and the ability to analyzer more alloys. This includes better precision for low alloy steels, stainless steels, as well as high temperature alloys and the added detection of lithium (Li).